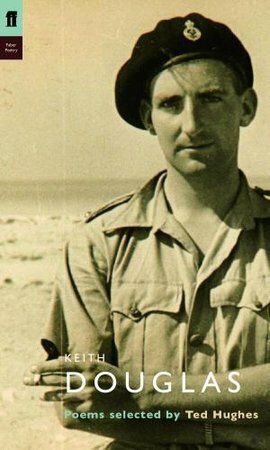 This entry was posted in poetry, World War II and tagged Barry Amiel, Keith Douglas, Owen Sheers, Western Desert by Derek Gregory. Bookmark the permalink. Derek: I can’t wait to see the presentation in London sometime: my other thought is that are we not ‘sleepwalking’ past the 70th anniversary of the end of the Western Desert campaign: 1943-2013 ? Officially May 13, but has there been any mention ? Thanks Jasper – in fact I’d incorporated exactly that verse in the presentation because one of the arguments I’m developing throughout is the way in which military violence turns nature into a cyborg nature (of sorts): so the mud of the Somme, for example, was turned into a ‘slimescape’ that comprised not only earth and water but spent shells, waste, body parts and the rest; the same applies to the Western Desert (the minefields are a hideously good example of a cyborg nature: Rommel’s “Devil’s Gardens”). So Dixon’s imagery of ‘gun barrels split like celery’ and ‘metal brambles’ – and of course ‘the dead themselves, their boots, clothes and possessions’ – is a remarkably powerful way of sharpening the point. ‘And Guy, lying under the flowers in Enfidaville cemetery, Piccadilly Jim, buried miles behind us, Tom, and all the others, back to the first casualties, during Rommel’s attempt to break through to Alexandria; they didn’t make it, but it is over for them too. And tomorrow, we said, we’ll get every vehicle we can find, and go out over the whole ground we beat them on, and bring in more loot than we’ve ever seen’. That style, which Douglas called ‘extrospective’ because it looked outwards for expression as opposed to ‘introspection’ like the WW1 poets, has been criticised for being callous: surely that is barking up the wrong tree. Maybe you could say that Douglas was the artistic bridge between WW1, the dark humour of ‘Slaughterhouse Five’ and ‘Catch 22’ and onto the Vietnam war of ‘Despatches’ and Tim Page’s pictures in ‘Life magazine. has a packet of chocolate and a souvenir of Tripoli’.